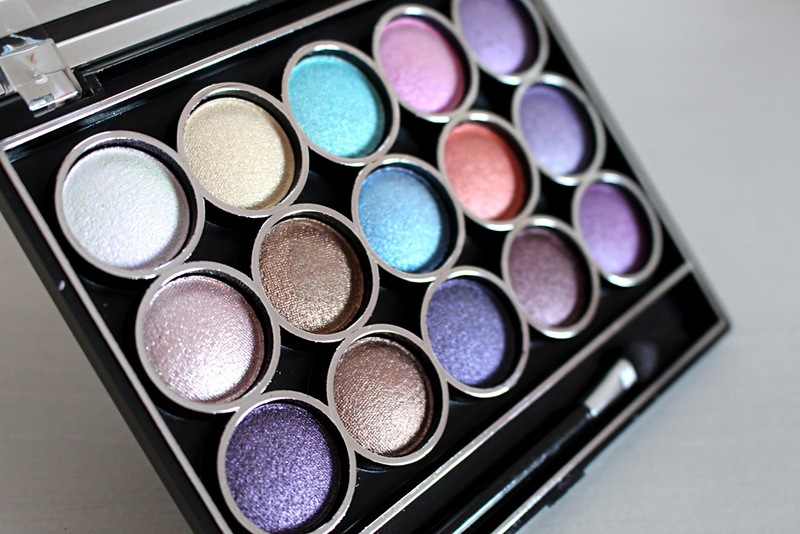 Looking for a bargainous-yet-brilliant eyeshadow palette? Then you've come to the right place. You know me, I love a good rummage in a bargain shop as much as the next person, and most definitely when it comes to makeup. Whilst I do think you get what you pay for when it comes to things like foundation and primer, for eyeshadows I just can't resist a bargain every now and again. 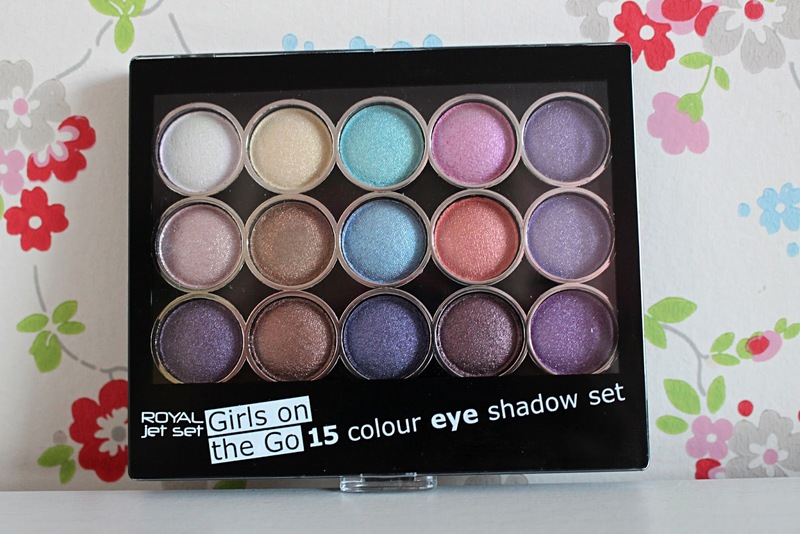 So, when I saw this beaut of a palette from Royal sitting on the shelf for a mere £1.99 (it was this price in the shop, but appears to be more online) I just couldn't say no. I don't know why, but as soon as I laid eyes on it I knew it'd be a good'un. There is just a way of telling with eyeshadows I think, and I could tell that this pretty selection would pack a punch in the pigmentation department. I wasn't wrong. 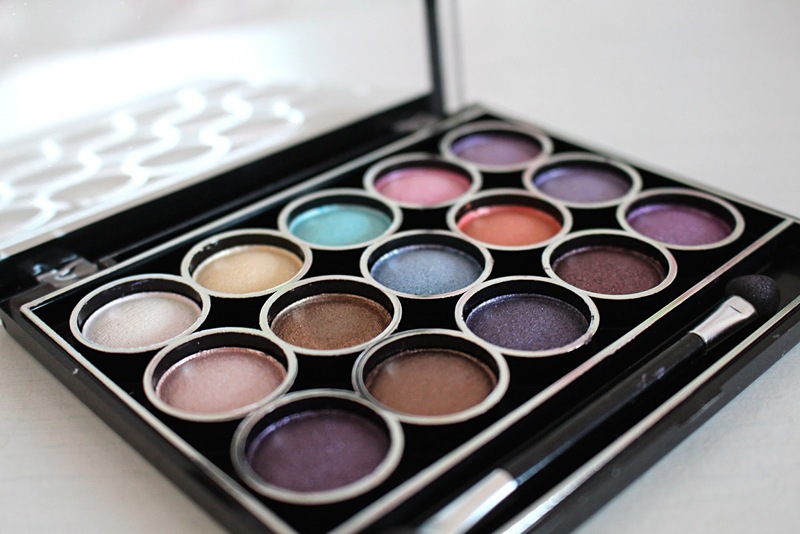 Each of the fifteen eyeshadows are beautifully pigmented, gorgeously soft and blend beautifully. 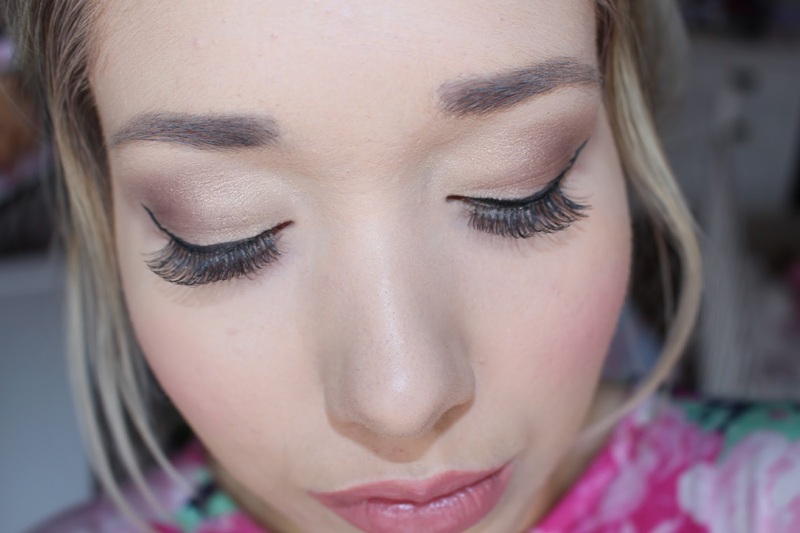 Whilst they're not going to rival the likes of MAC or NARS any time soon, they sure are good if you don't want to splash the cash on a new palette. I've actually been choosing these over my NARS palette of late, so I certainly think that says something. The shades in this palette are gorgeous - it has your essential neutrals in there, but adds a bit of fun to the mix with brights, pinks and deep purple hues. 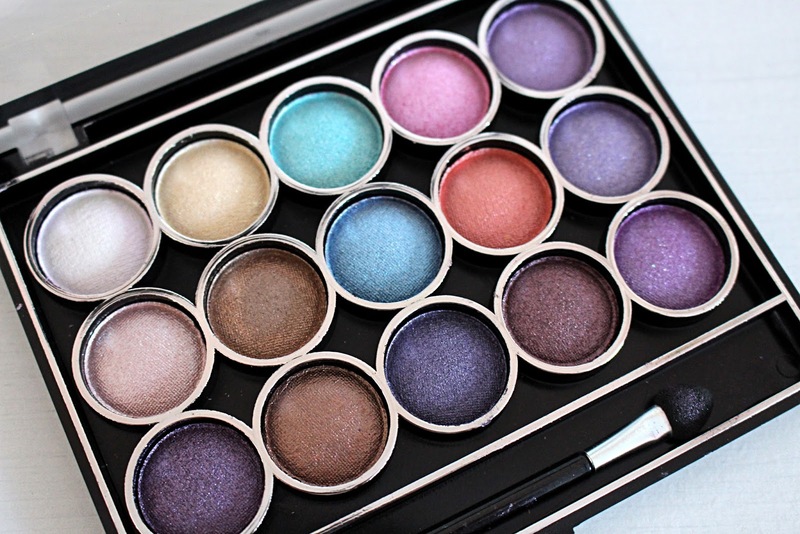 I think this palette would be amazing for creating a totally stunning purple smokey eye, and I also think the mix of pale pink and turquoise would look incredible for spring. The shades I've been using from this palette more often than not have, of course, been the neutral shades, of which you can see on in the bottom picture. I think they look seriously beautiful on and love how easily they blend together. 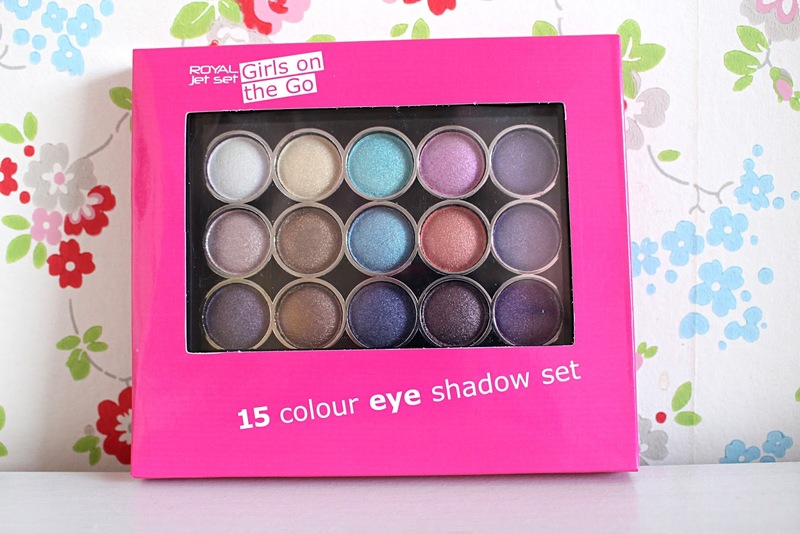 I got this palette for a total bargain from my local cheapy shop, but I hunted it down online for you guys too. I totally recommend investing in it - for the price you can't go wrong and it would make the perfect travel eyeshadow palette.